Some language schools have a Chinese-only rule, which means that neither students nor teachers are allowed to speak anything but Chinese on campus. The obvious goal is to make sure that all teaching is done in Chinese and that students practise as much as possible by avoiding their native languages, even during breaks. You can of course also create a “Chinese only” rule for yourself, regardless of what your school requires of you. But should you? Why? This post is not about language schools in particular, but about enforcing 100% Chinese language use in general. While everyone agrees that immersion is great, is a “Chinese only” rule really as good an idea as it seems? The main advantage of committing to a Chinese-only rule is that it’s likely that you will speak more Chinese if you do than if you don’t. Learning a language is to a large extent about using what you know to express yourself, even if the words and grammar you know are limited. This is exactly what you practice if you force yourself to speak Chinese, even in situations and about topics you really don’t feel comfortable with. Leaving your comfort zone is the best way of learning anything. Furthermore, by committing to speaking only Chines,e you avoid establishing habits and situations where you use English. For instance, with a Chinese-only rule in place, you’re not going to hang out with other expats who use mostly English. Instead of playing ball with some American guys, you’re going to have to find local players. Practising sports is just an example, but a very good one. Avoid the expat bubble, don’t be a tourist. Naturally, a Chinese-only rule bars your teacher from using any language but Chinese, which provides you with the other essential part of language learning: input in the target language. If this article was aimed at language schools, I would expand on this point more, but since you as a student probably can’t enforce a Chinese-only rule on other people, I will focus on your role in this. Students are often shy, lazy or both, which means that they avoid speaking Chinese even when they have an opportunity to do so. Without speaking, you will never learn the language, so speaking more is a good idea in general. Having a rule that says that you can only speak Chinese gives you no choice; you have to speak. If you just “try to speak Chinese more”, you’re more likely to end up speaking English. This is related to a psychological effect that I would like to explore further in future articles. In general, it seems like binary choices are easier to both to make and to later maintain, compared with choices that are more open or easily turn into slippery slopes. If you have a rule that says “100% Chinese, 0% English”, that’s that, there’s no discussion. You know what it means and everybody else does too. If you instead create a rule that says “90% Chinese, 10% English”, things get more complicated. How do you count? 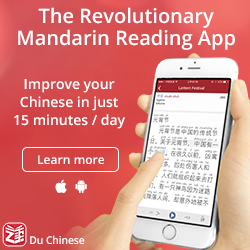 How do you know if you actually spend 90% of the time using Chinese? Should you count per day? Per week? Can you “save” time for later periods? And so on. If you instead commit to only Chinese, you don’t have to deal with all these issues. Before we move on to the disadvantages of Chinese-only rules, we need to briefly look at two classroom aspects, one related to teachers and one to students. First, it’s easy to forget that having a conversation at a very basic level with a beginner is demanding not only for the student, but also for the teacher. Therefore, without a Chinese-only rule in place, it’s tempting for teachers to give up earlier and use English instead. This is sometimes warranted (see below), but not always. Second, in classes where students come from a variety of language backgrounds, the only language everybody has in common is Chinese. What other language is the teacher supposed to use, English? What about the students whose English isn’t so good or who don’t like speaking English? Thus, in some situations, enforcing a Chinese-only rule is a practical consideration, not one related to what is best for an individual student. The rest of this article, therefore, assumes that there is a real choice to be made. Weak explanations – Learning languages is to a large extent about being exposed to and gradually learning to use various words and sentence patterns. However, some things really need to be explained to be learnt properly (pronunciation, grammar, characters). This is very hard (impossible) to do entirely in Chinese as a beginner. I have met many, many students who simply don’t know even the most basic things about pronunciation. I doubt this is because no-one has told them, but I strongly suspect it’s because they were taught in Chinese and simply didn’t get the point. This isn’t true in all cases, but it is in many of them. Hidden misunderstandings – When you don’t understand something and know it, you can ask questions or seek the answer elsewhere, but when you don’t know that you don’t understand (the infamous “unknown unknowns”), you have a problem. This happens often when a teacher tries to explain something in Chinese, but the student’s listening ability is not up to par. They both think that the student has understood, but that is, in fact, not the case. Sometimes, you know that you didn’t get everything the teacher said, but you simply don’t want to ask again, so you’re left with only a vague notion of what’s going on. Vague notions are very hard to remember. Wasting time – Most of the time, using Chinese to convey meaning is the point of language learning, but not always. Sometimes, you or the teacher just wants to get the meaning across as accurately as possible. If I correct your tones, I want to be really sure that you understood what I meant; I don’t really care if you learnt the related Chinese vocabulary along the way. I could have explained what you did wrong in Chinese, using pictures, gestures and whatnot, but it would have taken ten times longer and the risk of misunderstanding would have been higher. Harder to integrate knowledge – One of the biggest advantages of learning Chinese as an adult compared with as a child is that you already know a lot of things about the world. You don’t need to learn all these things from scratch. Sure, describing the meanings of words in Chinese can be great fun and is an excellent way of practising, but it’s not very efficient. Translation allows you to draw on your existing knowledge of the world. You can draw parallels to other languages, translate abstract words for which definitions are hard to understand, use English to verify that you really understood what you just read. And so on. With this solid foundation, you can then learn the nuances of how these words are used in Chinese. Risk of drowning – Language immersion is great, but it should only be done to the extent you can survive. Feeling uncomfortable because you haven’t adapted yet is fine, it’s even good for you, but burning yourself out or quitting learning altogether because the pressure is too high is obviously not so good. If you enforce a Chinese-only rule, you need to make sure that you have safety valves that allow you to vent frustration. If you’re a brave soul with lots of time on your hands, kamikaze-style immersion is great, just make sure it isn’t an actual suicide mission! I don’t like Chinese-only rules because they are inflexible. The ideal proportions will vary depending on your level of Chinese, but let’s say 90% Chinese and 10% English is desirable, those 10% of English can really make a difference. At the same time, decreasing the amount of Chinese from 100% to 90% is not going to affect the amount of Chinese you use or are exposed to much. Even though I wasn’t able to maintain the no-English rule with Vat, I still maintained it with nearly everyone else I met. 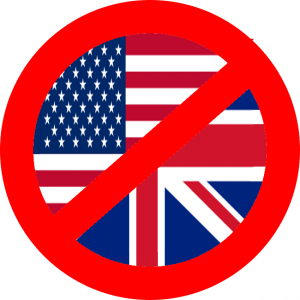 One of the big reasons to use the no-English rule is to avoid forming your social groups out of people who can’t or won’t speak the language you’re trying to learn. Had I not done that, I believe it would have been much easier to just spend my time in China with other expats and only make friends with Chinese people whose English was decent. This hits the nail on its head and leads to the general solution: Chinese-only should be the default mode you use for almost all situations. You can then create a small list of exceptions where you think English is essential for one reason or another. This can involve speaking English with a specific person, during a certain class or once a week when you hang out with other foreigners. The rest of the time is Chinese only. This means that you can reap most of the benefits offered by a Chinese-only rule, but still have enough flexibility to make use of English when it’s truly necessary. What do you think? 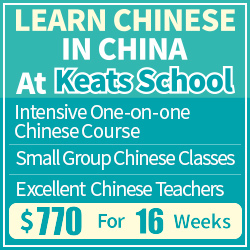 Have you tried a Chinese-only approach? Did you decide to do so on your own or was it a requirement where you studied? How did it go? Thanks for mentioning me in the article. I think you’re absolutely correct. I’d hasten to add that even though Vat and my project was a “No-English” rule, we didn’t operate on the assumption that you were never allowed to reference your native language in order to get explanations or translations. Moreover, we never forced other people to speak in Chinese with us, including teachers. A good no-English rule to have is one where you have to speak Chinese in all social situations, barring emergencies. That way, you spend most of your time practicing Chinese. However, I still think it’s perfectly fine to use English words when requesting definitions: (怎么说”newspaper”? ), and it also might be advisable to use English to request explanations about grammar points, especially if your Chinese is low enough that you won’t have a chance of understanding a grammatical explanation in Chinese. I think the idea that that only Chinese should be used is based on a false equivalency with adult and child learners, and assumes that the way children learn is automatically best, even though this is a dubious proposition. Thanks for your clarification! I should have mentioned this more explicitly, but some schools really have a zero tolerance for English, meaning that the teachers aren’t allowed to use English at all. This sounds super ambitious and serious, but I’ve talked to several teachers an such institutions (usually great schools in general) and they find it frustrating at times. I think few students would apply such stringent rules voluntarily, so that part of the article is mainly aimed at these schools. I’d interpret this advice (at least with regards to studying in a Chinese-speaking part of the world) is it’s okay to be in the expat bubble when you start, but then get out as soon as you can handle it. My first few months in Taiwan were in Taipei, right in the middle of an expat bubble, which I found very helpful as I was adjusting to Taiwan. However, it was not so useful for learning Chinese. Months later, I moved to Taoyuan, which doesn’t have nearly as many English speakers as Taipei (expat or local). My Chinese improved much, much faster after my move to Taoyuan, but I don’t think it would have been a good idea to jump into that environment immediately after arriving in Taiwan. Obviously, someone tied to a certain school/workplace may not be able to make a move like that, but there are other ways to apply this principle – such as the sports example in this article, or other kinds of social hobbies/extracurricular activities. Sort of, but I’d say you could enter the expat bubble occasionally, like once or twice a week, but that you should stay firmly away from it in general and not make it an integral part of your life. Nice article Olle. I had not thought about the problem with some classrooms having people of different native languages. For me, in my iTalki sessions, I do like Scott said. We aim for 100%, but it is ok to ask, how to translate a word. I have also been a part of misunderstanding grammar and vocabulary via a Chinese only explanation. This happened while I did a summer intensive course. Usually during practice, or homework, we found my misunderstandings and fixed them, but it was frustrating. Currently I self learn. My iTalki teacher is there to reinforce, what I teach myself, and help me out with things the books forget to mention. Things like alternate pronunciations, or whether X is more of a book word, or street word. For these type classes I study ahead and always read the English explanation of the grammar ahead of time. That way if she explains something in Chinese that doesn’t match what I read in English we can talk about it. This method isn’t perfect, but what method is. Well said, Olle. As a teacher, perhaps should take a more flexible approach – what is more effective way within a limited teaching hours. At school, we have to ensure certain amount of curriculum being delivered, which is different from a baby learning first language when being immersed in that language. It makes sense to explain abstract grammar in English. I believe that it benefits the students in the long term if they can appreciate the common grounds and differences of their first language and a foreign language. Even to be able to deliver a Mandarin lesson to a beginner class on 90%-10% rule needs a lot of preparation (铺垫). When they reach certain level, I am sure that it could be 95%-5%, or 100%-0%. As someone who has studied Chinese “on the side”, but never full time, for over 20 years (I took my first Chinese class in junior high school, and have studied it on and off at varying levels of intensity ever since), started travelling China in 2001, and who has lived here almost full-time since mid-2006, and who has been married to a Chinese woman for nearly 5 years (and living with one (the same one! for 7), I’ve tried both extremes and everything in-between. My Chinese was fairly average even after studying it as a second major at university (my “main” major was Mechanical Engineering), and improving the Chinese I had spent so much time studying was the primary motivator for my initial trips to China. I made massive progress on those trips by immersing myself on long hard-seat train rides in western China, and also staying with a Chinese family for 10 days in Chengdu and speaking nothing but Chinese for the first few days (I was there at the invite of an international student friend whom I’d met in Brisbane, but he didn’t show up until halfway through the visit, so I was left to get by being lectured by his grandmother in Sichuanese!). 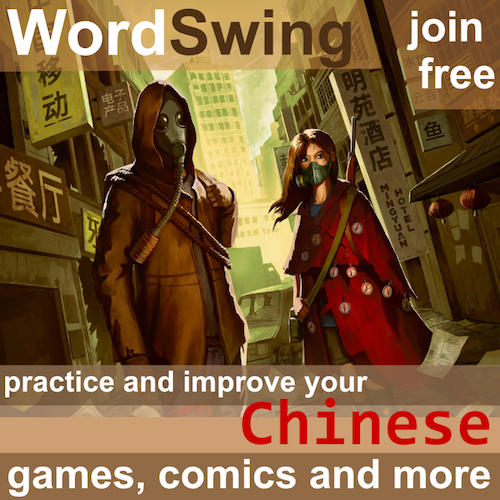 I became addicted to the language progress buzz and kept trying to get back to China. During a 2003 visit I stayed a few days with a uni classmate of mine and saw how much fun expat life was there at the time – I saw all these guys living the good life, teaching English, playing in bands, and starting entrepreneurial ventures, all while enjoying a low cost of living, and they all seemed to have rather attractive Chinese girlfriends. It was like the wild west, and I wanted a piece of it. Fast-forward 2 years, and I quit my job in Australia, travelled the world for a while, and then wound up in that same expat community (in Nanjing) in 2006. At first I was very focused on improving my Chinese; I took classes for a while, tried a tutor, listened to ChinesePod (back when it was free) and sought out opportunities for Chinese social circles (although I never cut myself off completely from the “expat bubble”). Through 2006 and 2007, before I met my wife, I had a series of Chinese girlfriends with whom I spoke exclusively Chinese. And I spoke Chinese every day with my “Ayi”. -I have no more reason to spend time further improving my Chinese – I can have a conversation with my mother-in-law on the phone, socialise and joke with my wife’s friends (albeit with somewhat less grace than native speaker-like fluency), conduct personal admin phone calls in Chinese, do my internet banking, etc, and getting better at Chinese won’t help my career any more (I am occasionally called on to translate things, and schools in China certainly see it as a bonus that I speak Chinese, but I’m not used in an official capacity). Sorry if I sound cynical, but it’s the same story I hear from all the expat males who have lived here for a long time – don’t have any close Chinese male friends, only “deeper” relationships happen with girlfriends and then wives (and sometimes wife’s friends and family), Chinese deteriorates gradually unless they use it every day at work. Expat women very rarely have Chinese boyfriends/husbands and hence have to work harder to become fluent in Chinese (either that or keep putting effort into “forced” friendships with locals). There are rare exceptions, and in my experience they generally happen when Chinese people have had some exposure to Western thinking or education and/or have spent significant time abroad (and hence speak good English anyway! ), or when westerners have been here so long that they adopt some Chinese ways of thinking and become “part Chinese”. Otherwise the cultural divide is usually too great for friendships between Chinese locals and western expats to naturally “click” – unless it is bridged by lust that eventually evolves into love. People often joke that I’m “half Chinese” because of my time in-country and my ability to get along with my Chinese in-laws, and I certainly think I have a different personality when I speak Chinese, but despite this, and despite my dabbles in yoga and its associated eastern religious philosophies, people who know me well, including my wife, will tell you that I’ve decided in no uncertain terms which camp I’m in and what my identity is – I’m a westerner, an Australian, and a skeptical, rational, scientific thinker who just happens to speak very good Chinese. I don’t believe in (most) Chinese medicine ideas/remedies/cultural memes (cold water is not bad for your stomach, and hard beds are not necessarily the best for your spine), and I don’t believe that lying or covering something up to avoid conflict or confrontation is OK.
-given the above, if you live over here for any extended period of time, your “honeymoon period” with China, Chinese language and Chinese people will most likely come to an end at some point. When it does, don’t feel bad about going back to the expat bubble if that’s what makes you happy. Linking back to the original topic of the article, I guess I’m writing this “essay” in defense of the expat bubble. 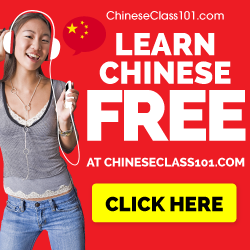 By all means, use Chinese-only immersion in bursts when you are on the steep part of the learning curve, but keep it in perspective, and remember that it’s a tool to help you get your Chinese to the level you want it to be at, and not some lofty “live an authentic, local Chinese lifestyle” ideal to aim for, as if it’s somehow better or “more right” than the expat bubble (unless that’s how your really want to live your life – but like I’ve said, I’ve seen that work for very few people in my time here, and if that’s the way you want to go, I think you should heed my cautions above). In my case, when my Chinese got good enough, I jumped off the Chinese immersion (or high percentage Chinese) learning curve, because I no longer feel the need to prove my Chinese level to anyone, and I’d rather spend my precious free time maintaining genuine relationships with other expats whom I find interesting and can have deep and meaningful conversations with, rather than relationships with locals that I find to be rather forced and superficial, in the name of improving my Chinese. That said, my Chinese is still good enough to have a deep and meaningful conversation – I have them often with my wife and mother-in-law – and although my Chinese standard has slipped a bit, it’s still there in “latent” capacity, and I can bust it out and focus it like a laser when I’m in the zone and concentrating (but then on other days I’m stumbling like a typical laowai). Once you get good, I’d recommend exercising discretion in when you bust out your Chinese – now I like to sit back and let eager Chinese speak English with me in social situations or when ordering in bars and restaurants, and not let on that I speak Chinese – and then listen to what they are saying to each other in Chinese when they don’t think I understand what they’re saying. A similar tactic works well with Chinese-speaking students – I always keep them guessing at how much Chinese I actually know – they know I’m good, but they don’t know HOW good, so they’re careful what they say around me. Try it sometime! I know I’ve raised a lot of controversial points in this comment, so please, bring on the rebuttals/criticisms/comments! A very interesting comment! I think we agree on most things here, I just haven’t lived in China (or Taiwan in my case) long enough (four years). This website is mostly about how to learn Chinese, so of course I’m going to advocate immersion since that will take you there much faster, but as you say (and I do mention this in the article, too), it comes at a cost. I write these things under the assumption that you are willing to sacrifice some things for learning Chinese. However, those sacrifices will of course be harder and harder to defend the more advanced you become and the more time that passes. While it’s perfectly okay to do 100% immersion for a month, I doubt anyone could survive something like that for a year or two. We need safety valves, we need the comfort zone. I usually advocate leaving it as much as you can, which means as much as you feel comfortable with. I wrote an article about mastering Chinese a while ago that brings up three different paths. Basically, you need one of these (or several in different combinations) to keep advancing beyond operational proficiency. The paths are work (if your work requires heavy amounts of Chinese), hobbies (if you’re really passionate about learning) and social life (including partners). You touch upon all these in your comment. Perhaps the most interesting difference is that it seems like you doubt that the social path is feasible, at least in the long run. You may be right. I live in Sweden now, so it’s hard for me to judge and I will probably never be in a position to do so. I’m still convinced that the other two paths are feasible, though, I know too many people who have followed them and succeeded. In any case, thank you for your comment! It’s always interesting to hear what other people have to say about their long experience of learning Chinese. After having taken the time to read your article and this long comment, I’d like to add my experience. I’d mostly agree with the article. But that’s only under the condition that it’s fun to you. Being German and speaking fluent English and “fluent” Chinese, I feel most comfortable having “deep” conversations with native speakers of either of those three languages. I study in Shanghai and mostly have avoided other expats. One reason is that I want to improve my Chinese. Also it doesn’t come at a cost, because I equally enjoy the company of Chinese friends. When socializing with native speakers of other languages (e.g. Russian etc.) I feel a more intense language barrier speaking English to them unless their English is on a native level. Since not every expat is a native English or German speaker, I’m more comfortabl with Chinese than with a large part of expats. I also share more common interests with Chinese as I like typical things that many Chinese like. I’m very 中国化, which sometimes even culturally drifts me away from Germans. I just wanted to write this as a counter example to the comment above. I have made some male Chinese friends, by the way. And they are not the kind of friends, that just want a foreigner friend. Since they’re also not from Shanghai, we like to get together at my place on official holidays and cook. So, I understand and fully respect that the above commenter didn’t change his identity and feels comfortable in the expat bubble. I think the point is: Learn Chinese to make Chinese friends, don’t make Chinese friends to learn Chinese. This is a great analysis and summary of the question! It also reflects my experience teaching in “English only” classrooms.